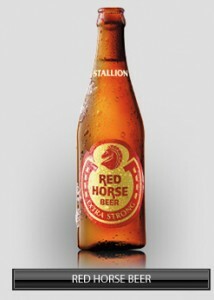 A famous strong beer in the Philippines. Brewed by the largest brewery in the country. It is deeply-colored with a touch of fine aroma. Just the right kick for those who can appreciate it. The most notable aroma will be more of creamed corn. A touch of hay, alcohol and again creamed corn. Not overly sweet. Grainy with some white foam.